UPDATE: REYNA WAS ADOPTED IN LATE APRIL OF 2016! Reyna came in to rescue with Toby. 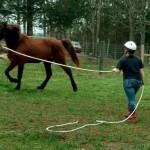 Reyna was very rusty under saddle when she came in to rescue. 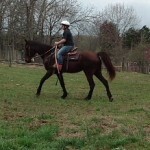 Our team has been working with her and she has progressed to intermediate rider ready. 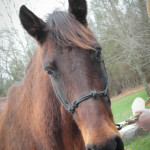 She has been on a trail ride and crossed ditches, creeks, etc with no problems whatsoever. Our team will continue working with her, and we will update her profile as she progresses. 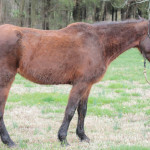 Reyna stands to be groomed, bathed, and for the farrier well. Reyna’s adoption fee is $400.